Professional bass angler, Michael Neal joined Tennessee Wildlife Resources Agency (TWRA) in the fight to stop the spread of aquatic nuisance species in Tennessee waterways. 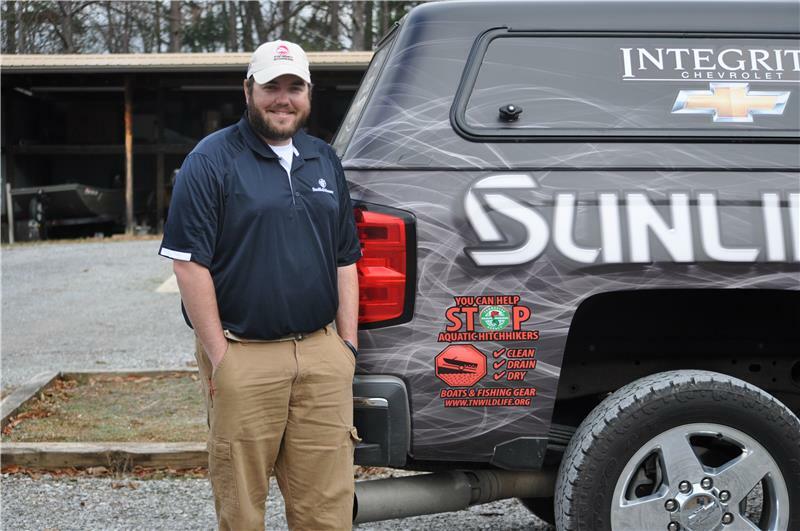 Neal travels with the FLW Tour and fishes throughout Tennessee and the U.S. Having fished his entire life, he’s seen the effects of ANS and hopes to bring attention to the issue. ANS include any non-native species, plant or animal, which has a negative impact on the environment, economy and public health. Sport fishing in Tennessee was estimated to have $1.1 billion dollar impact across the state in 2001 (U.S. Fish &Wildlife Service). 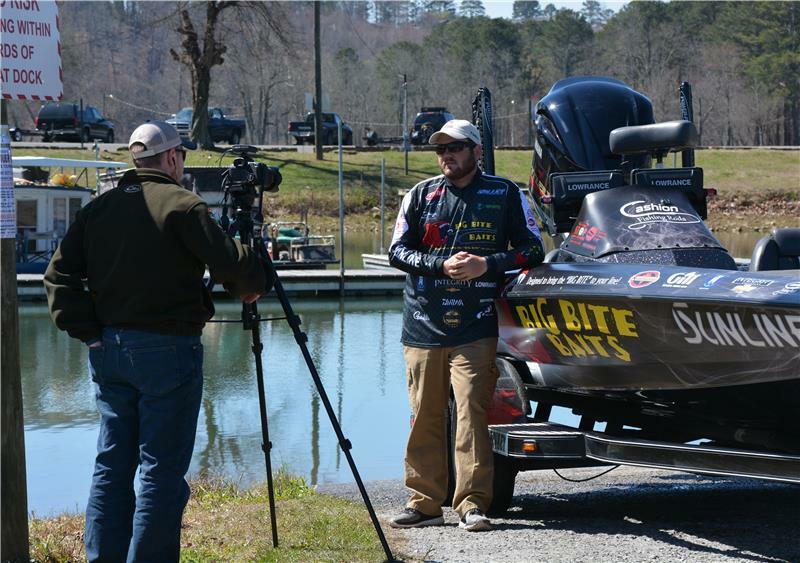 Neal recognizes the impact ANS can have not just on bass fishing, but the rich diversity of Tennessee’s waters. Neal stated, “TWRA does a great job managing our fisheries; but without everyone’s involvement to stop the spread of ANS, their job is much harder. He continued, “Tennesseans are rich in water and diversity. We have beautiful places to fish and boat. Why not join in the effort to care for it?” Neal has filmed public service announcements for the agency and added the ANS logo on his boat and truck. TWRA Region 3 reservoirs crew and the Region 3 streams crew have worked diligently to educate and provide means to stop the spread of ANS. The reservoirs crew shares the message Clean Drain Dry and more with high school fishing teams. They provide a free seminar and hands on learning activities that invite these teams to protect our resources. The streams crew has partnered with the U.S. Forest Service and Tellico Plains High School to provide gear cleaning stations for anglers. So far, two have been installed with an additional 10 ready to be placed throughout the region. Additionally, TWRA leaders participate on national committees to ensure leading research is implemented.